A trip to the British Virgin Islands is an exceptional adventure in the heart of nature and through the scents of the sea breeze. As part of the archipelagos of the West Indies, these places have something to fill your desires of idleness. Its beautiful white sand beaches, rich marine life and beautiful landscapes of incomparable beauty form a dream postcard to offer you a magical journey. Be amazed by the majestic nature of Virgin Gorda or the charm of Anegada. 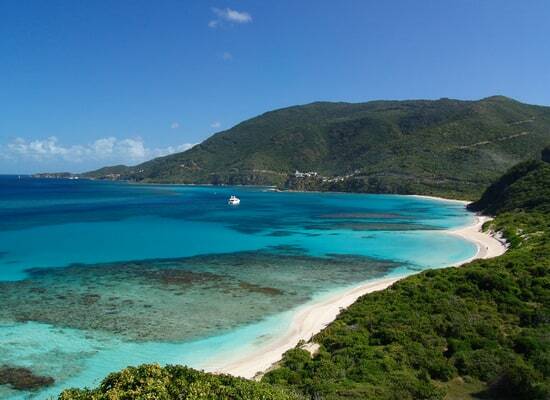 Jost Van Dyke with its clean air and wondrous landscapes is ideal for travellers seeking tranquillity and relaxation. Tortola, the capital of the British Virgin Islands, for its part, plunges you into a warm atmosphere. Last Updated: January 07, 2019 15:46 ESTThe Health tab was updated - travel health information (Public Health Agency of Canada). The health care system in the British Virgin Islands does not align with international standards. Before your trip, prepare a first aid kit containing fundamental and prescribed medicines. You will be able to find a small general hospital in Tortola which provides treatment for common diseases. The Virgin Gorda private clinics will provide you with quality care. Emergency assistance offered in Tortola and Virgin Gorda is of high quality with competent paramedics. If you are staying on one of the other islands, accessing emergency medical help will probably be impossible. In the event of more serious health problems, you will have to be medically evacuated to either San Juan or Puerto Rico. You can dial 999 for an ambulance service in the British Virgin Islands. Are the British Virgin Islands Safe for Travel? Do I Need a Visa to Visit the British Virgin Islands? Only a passport is required to enter the British Virgin Islands. The passport must be valid for at least six months beyond the date of departure. If you are staying for more than six months, a Visa is required. Please note that this is the website for the Canadian High Commission in Barbados. There’s no Canadian governing office in the British Virgin Islands.